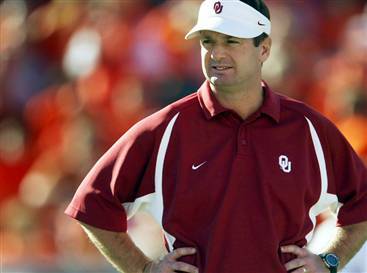 NORMAN — With Saturday’s 42-34 victory over Baylor, Oklahoma coach Bob Stoops surpassed legendary coach Bud Wilkinson (145-29-4) as the second winningest coach in the program’s history. The victory lifted Stoops’ all-time record to 146-36. Barry Switzer remains OU’s winningest coach at 157-29-4.